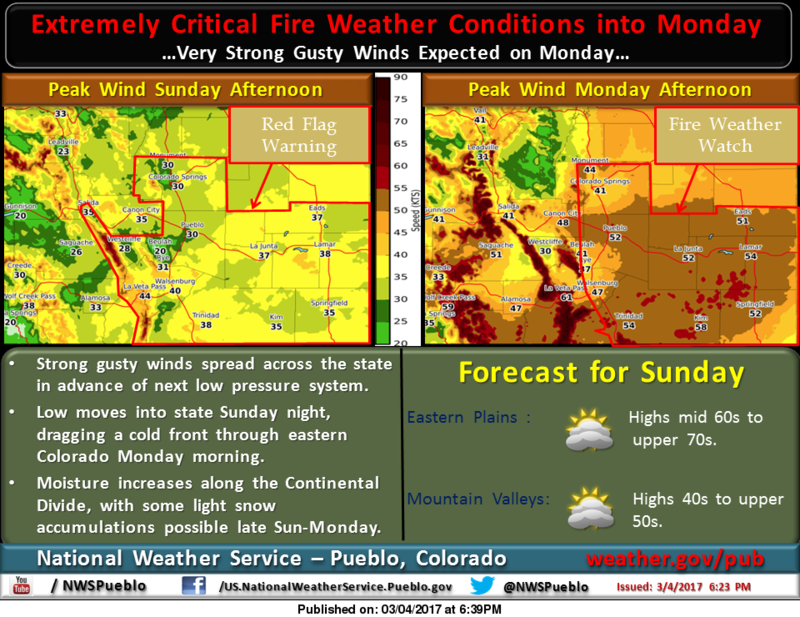 Fire danger remains high Sunday and Monday, with outdoor burning and other activities being strongly discouraged across eastern Colorado. The fire risk extends across western Kansas, the Oklahoma panhandle, most of Nebraska, as well as portions of Texas and New Mexico. A Red Flag Warning will be in place Sunday from 10:00 a.m. to 7:00 p.m. as temperatures reach the mid-70s and a southwest wind will increase to the 15 to 25 mile-per-hour range by the afternoon. Wind will decrease slightly to 10 to 20 mph overnight as the low falls to the mid-30s. A Pacific disturbance moves into Colorado Sunday afternoon, bringing snow to some mountain areas along with strong winds to the eastern plains to start the week. Although Monday's high falls to the upper 50s, fire risk remains elevated as west winds reach the 30 to 35 mph range in the afternoon. Gusts to 50 mph are expected, creating areas of blowing dust. Wind shifts to the northwest overnight, decreasing to 10 to 15 mph. The overnight low will be in the upper teens. Upper 50s return Tuesday, however wind speeds drop back to around 10 mph. Look for a low in the mid-20s. 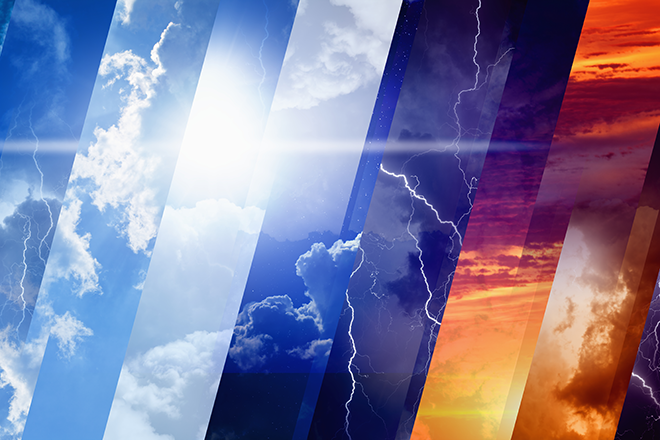 Above-average temperatures return Wednesday through Friday, with highs ranging from the upper 60s Wednesday to the upper 70s later in the week. Overnight lows will be in the 30s. Fire risk remains elevated, with additional warnings possible.